Sometimes you might acquire a new buyer lead from a source other than your website. You can help them with their search by adding them as a Subscriber in your account. 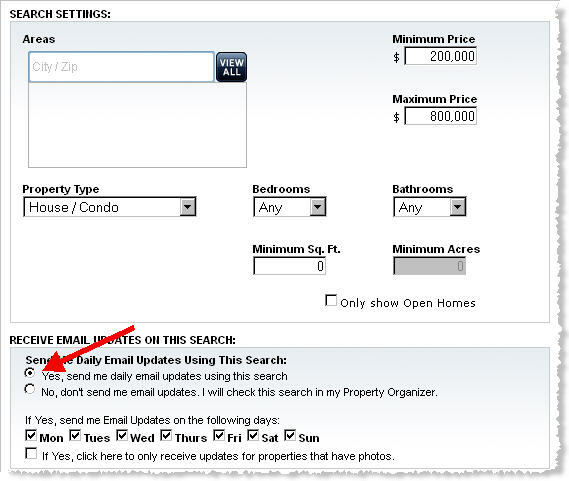 This will send them automated Email Alerts with information about new listings while also providing a Property Organizer account, to help them keep track of listings they’re interested in. 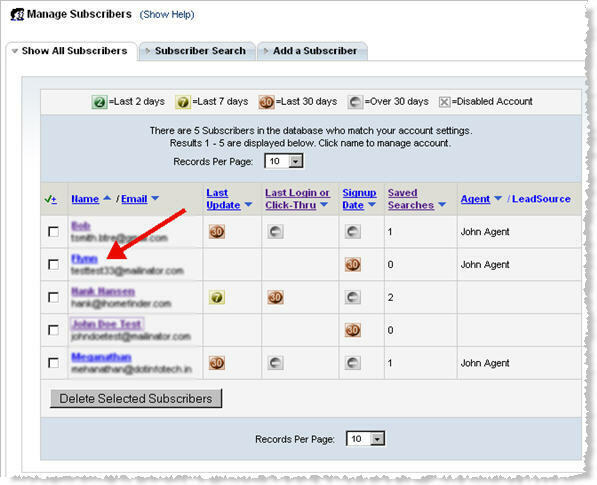 2) Select the Add a Subscriber tab, then complete the information and click on Save Settings at the bottom. It’s a good idea to enable the Welcome message option as shown below. 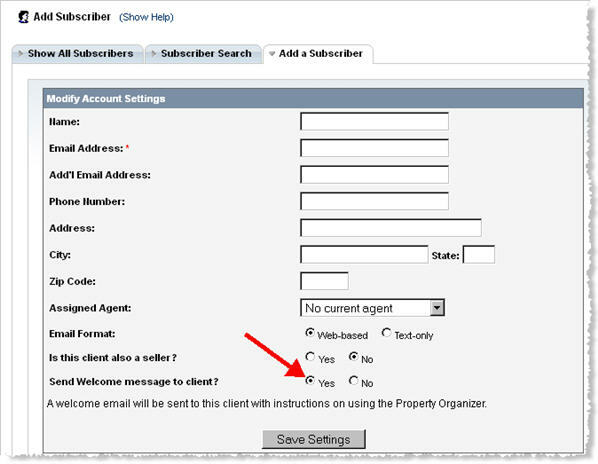 This will send an email providing an activation link (opt-in), along with an overview of the Property Organizer features. 3) Your Subscriber has been added! Now you just need to set up their search preferences for the Email Alerts they will receive. 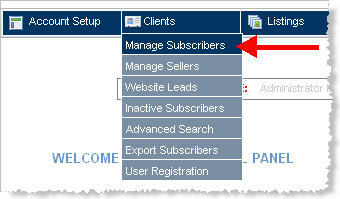 4) You will now be in the Manage Subscriber tab. 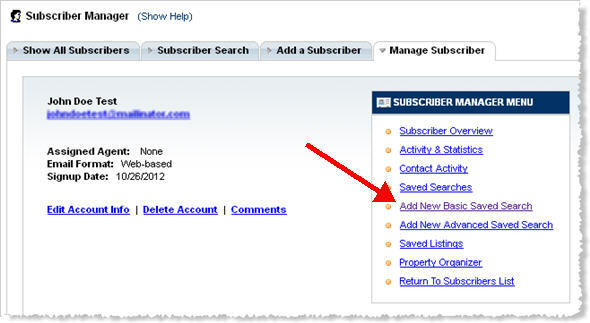 Select Add New Basic Saved Search under the Subscriber Manager Menu. Alternatively, you can select Add New Advanced Saved Search if your prospect has preferences that are available within the Advanced Search options. These are different in each MLS but could include options such as waterfront, subdivision, golf course, pool, distressed, etc. 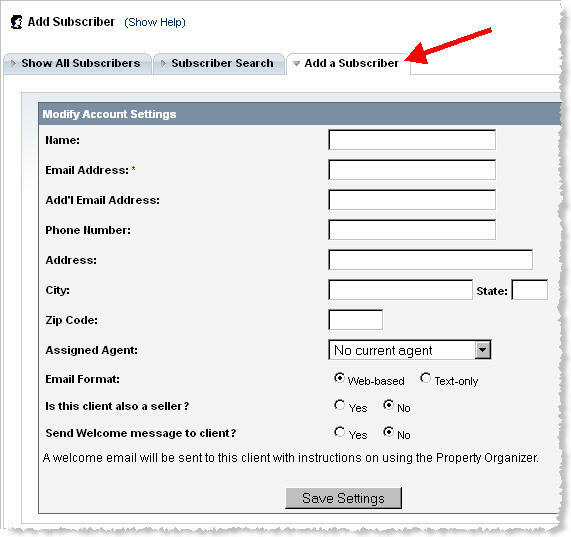 5) Complete the search settings and make sure Yes is selected under Receive Email Updates On This Search. This refers to whether or not your prospect will receive the email updates.